Wow, pretty amazing. I've never seen such a sight before of Tel Aviv. I just always imagined one little pocket of skyscrapers with a huge sprawl. Quite different. What is the very straight waterway on the right? Wow! Tel Aviv is a really dense city. I never thought of it being so big. What is the current population of Tel Aviv? LOL, I thought that was a canal too, until I saw the broken streets. I think it's the airplane wing. 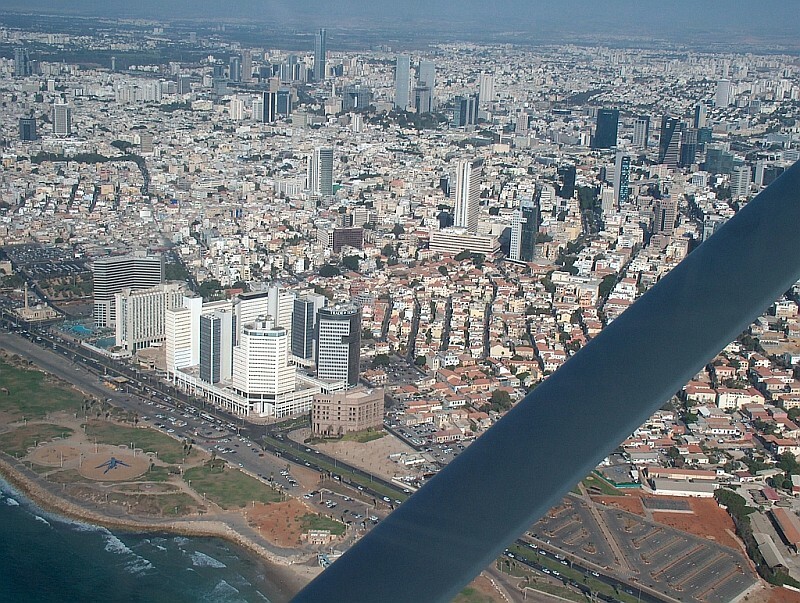 Tel Aviv looks beautiful from the sky. I expected less skyscrapers as well.